in this vid you can see how i make fire with a clear plastic (PET) water bottle - the kind that you find everywhere (unfortunately... :( ). i used charred cloth, horseshoe fungus and almost-dry cow dung to get an ember (you can use other natural tinder, too) and some jute twine to get a flame (you can use dry grass, tree bark fibers, dry leafs etc.). i want to thank to my friend radu (aka m00thman) who gave me the ideea for this vid. 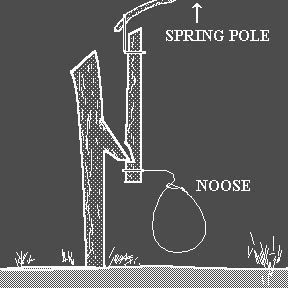 This is a simple fish trap based on the concept of a spring snare but modified to be more effective in more situations. The deadfall can be setup almost anywhere and has many advantages over a spring snare. Brothers Caleb Musgrave and Robert Munilla travel to the Boreal forests of Canada in the dead of winter (January) to film and demonstrate cold weather survival and wilderness skills. In this video, Brother Caleb, who grew up learning and living wilderness skills in this environment, along with Brother Robert show how to make the Sampson Post Deadfall, using a single tree. This trap was used by the Ojibway, Cree, Innu and a multitude of other sub-arctic cultures to catch furbearing mammals such as the mink and marten. Are you ready to bug out in cold weather? What gear would you need? How would you stay clean? I thought I was ready until I actually tried winter camping for ten days. I had a lot to learn, the hard, cold way. Sot and I arrived on Sunday and were stoked to get on the trail to find a place to set up camp. The snow wasn't deep enough to need snowshoes, which also meant we wouldn't be making any snow shelters like a quinzee or snow cave. After some scouting we found an open area ideal for setting up the 11 foot diameter tipi and outside fire pit. The hike in only took about 15 minutes with our over packed sleds, and we're both sadly out of shape. Each sled was loaded with about 60 pounds of gear. After we caught our breath we started to set up. The woodstove and teepee didn't take long, and within a couple of hours we had a working campsite complete with an outside firepit and lean-to. We froze for the first three nights as I just couldn't get the stove in the tepee to work. Even with our mountains of wool blankets. In fact, we spent much of the first three nights hanging out in the truck with the heater on waiting for the sun to rise so we could drive to town and have a hot breakfast. Sot had enough of the cold, hard living by Thursday, so I drove him home. While driving him home I got more supplies and the keys for my friend's cabin that's on the land we were camping on. I thought it would be great to recover with some easier living in the cabin but I was in for a rude awakening. Since the cabin was in the middle of being renovated there was no source of heat and the walls and floors had many small holes that made it just as cold inside as outside. There was a propane stove, a bed and level floors though, so it was easier in some ways than living in the great outdoors. It took me a couple of hours to make the mental shift from camper to squatter, but I eventually got the hang of it. My heart goes out to homeless people, especially in cold climates. I was lucky to have an escape plan from my ten day experiment and still I found it challenging. a day out into the woods after some serious rain, presenting the swedish torch - my way: you don't need to cut and split big logs, and you can do it with your sak saw (although i preffer my fiskars). i cheated a bit, using a mini-bushbuddy burner (made from a tea candle) to light the torch. Will YOU die first? I give you a WARNING on who to WATCH OUT FOR. I also give you a warning for YOURSELF if you are in "The Big Three." The author is a retired U.S. Army sergeant with a background in infantry, logistics and administrative and security training. He currently heads his own security firm and is an adjunct faculty member with the University of New Hampshire teaching seminars on home food production.-The editors. WHAT is a BOL (Bug Out Location) / survivalist homestead? It is a home in which you can live in a real-world/present-time economy and social order, yet at the same time practice on a regular basis the survival skills you may need later. All of this is accomplished while still living a normal life-style with access to work, schools, emergency services and stores, etc. But most importantly, you will not be in conflict with criminal, firearm or building codes, zoning ordinances, EPA regulations or planning board requirements. The BOL / survivalist homestead offers one more very important option. That of helping you now to live a better quality life at a cheaper price and allowing you to shift to more severe survival plans only to the extent needed to meet emergencies. - Plan A and Plan B-Plan A is that part of all planning of your homestead which has to do with dealing in the present/real world time frame. Plan B is the planning for whatever emergencies you feel could threaten you. Both plans must be such that they can co-exist in the same place at the same time. - One Effort with Multiple Results- This concept is simply "working smarter, not harder," fine tuned to an almost absolute. Every effort must result in more than just the one primary result. It allows you to accomplish more goals with less expenditure of time and money, to facilitate the first concept. - Reduce, Re-use, Recycle- This concept is taken wholly from the environmental movement. Re-using material and recycling waste allows you to reduce expenses thus build with less cash outlay. This is also a skill you will need in any type of breakdown of social order, where normal access to stores and services will not be available. Applying these concepts in homestead planning is not the first step. The first step is deciding what you are planning for-what emergencies or crises you might have to face. This is subjective and no two people will feel that any one set of possible emergencies will be what they have to be ready for. Short term cash flow problems. Economic upheaval on a large scale. The first task in establishing a homestead is to find the land. You can eliminate many present-time and cirsis-time security problems with proper site location. At the same time the property should be located so that you have reasonable access to work, entertainment, schools and emergency services. Other important considerations are taxes, community growth plans, amount of land for your needs, zoning ordinances and building codes in the area where you plan to buy. I chose my property because it was large enough (15 acres), had the right topography, available firewood, garden space, animal space, hunting and potential for water. Also the town has as part of its charter that the community will remain rural with little growth, no heavy industry or commerce and with farming as its main industry. Crime, in normal times is a by product of growth and population density in urban and suburban life, and increased crime and civil disorder are the first results of cultural breakdown. My location has been chosen to avoid these to a great extent while still having reasonable contact with the real world. Finally my location allows me to use firearms, garden, raise animals and build pretty much what I want for now and the future because of the absence of myriad zoning regulations and building codes that are found in so many other communities today. Security was at the top of my list of priorities in planning my homestead on the land I acquired. A poorly laid out homestead will result in one that is more difficult and costly to secure in both normal and crisis times. Just locating the house-compound on a hill went a long way in avoiding problems with criminals now -Plan A-and in possible lawless times-Plan B. The compound is hard to see from the nearest road, especially in summer. It is impossible to tell just what is on the hill unless you walk or drive at least half way up the driveway. By this time a would-be intruder or gang finds that the entire front of the compound area is blocked by a marshland to the east, extending a few hundred yards beyond my property line, and a deep dug pond connected to a series of beaver ponds that run nearly a half mile to the west beyond my property line. This fine example of an engineer water barrier is the result of hard working beavers that moved onto the adjoining property the same year I bought my parcel. Within a few years they had backed up enough water to flood all the aforementioned area except my driveway. The total cost to me for this barrier was $600 to have the deep pond dug. This system serves as a second source of water for emergencies, irrigation , swimming, and draws a wide variety of waterfowl, mammals, reptilles and fish which can be a food supply- One Effort with Multiple Results. The water barrier freezes in winter. To deny access to the main compound all year round I knew I would have to install some type of fence, which could be expensive. Instead, I stacked brush and tree limbs from land-clearng operations around the top edge of the hill on which my home-compound was located-Reduce, Re-use, Recycle. This created an instant barricade called an abatis. In most places it was around three feet high and as much as eight feet wide. The next year native New Hampshire blackberries, that grow in abundance in the area, made their appearance and soon formed a living flesh-tearing barbed wire barrier where the brush had been stacked. Unlike a fence that deteriorates and has to be maintained every year, my barrier just gets thicker and stronger without me lifting a finger except to cut it back here and there it also provides a good amount of fresh fruit and attracts animals which, on occasion, end up on the dining room table-One Effort with Multiple Results. In building my home I wanted a strong dwelling which was also aesthetically pleasing, practical for day-to-day living and would meet all the zoning and building codes and yet would meet the emergencies I plan for. Solar Heating-I used a lot of rough-cut lumber, stucco and stone inside the house I used one-inch lumber instead of sheet rock for the walls and ceilings because of its structural strength. The kitchen, living room, dining room and master bedroom are on the south side of the house. This side has large areas of glass windows to allow solar heating during the colder months. The colder the season gets the lower the sun is on the horizon. By Dec. 21, the sun floods almost straight through the south windows, keeping the inside temperature around 65 degrees F. By June21, the sun is now high in the sky, adding little heat to the house during warmer months. Because solar gain heating can overheat a house in the day time, there is a need for something to absorb the excess heat during the day and radiate it back into the house later on. This is called thermal mass. It is achieved by having no basement and building instead on a concrete slab, sometimes called a floating slab or a monolith slab. For additional mass-and protection from gunfire if the need should arise-I built a solid concrete block wall of four-inch thick blocks almost the whole length of the house. Plans for this year call for the addition of a propane gas heating system. The gas system will be one that does not rely on electricity to function. Once again if the heating system is connected to house current the loss of electricity means no heat. The wood/coal stove will be kept for back-up, cooking and heating, and just for the pleasure of a wood fire in the winter. The north wall of the house is just the opposite, as far as windows go, of the south wall. The smallest windows allowed by code are placed here. These are the bathrooms, toilet and bedrooms. These rooms remain empty most of the day and do not need as much light. The smaller windows reduce heat loss and restrict entry from the outside. To further reduce heat loss the north wall is triple insulated. Standard fiberglass was installed, then one-inch rigid insulation over the studs, and 7/16-inch flake board over the insulation there are no breaks in this barrier except the windows, to allow heat to escape or cold wind to infiltrate the house if desired. Lastly, all closet space was built into the north wall to create as much "dead space" as possible to further isolate the heat in the house from radiational cooling. Still Room, Root cellar, Work Shed-Once the main house was up the still room, root cellar, and work shop/shed were added. A still room was the part of a colonial home where fermentation of home made brews, "kraut" making and pickling were conducted. It was also used to store smoked foods, beverages and other preserved items. I use ours for most of the same reasons and it is also where the water pressure system, well, washer and drier are located. The dryer is vented through the root cellar by way of a four-inch PVC pipe Part of the system is underground in the root cellar which has a sand floor. This section of pipe has holes in it so condensed moisture can drain into the sand and humidify the root cellar when the drier is used. The end of the pipe has a fixture that allows me to vent the air outside when it is too warm in the cellar or vent into the cellar when it is too cold. Root cellars are generally constructed underground or in hillsides. Mine is above ground because, with modern insulating materials, it was just cost effective and time saving to do so. In the cellar I can store appropriate food stuffs to last until late spring when the following year's crops start to come in. This is also a good place to store jugs of water in the event we lose electricity. The wood storage area at the entrance of the still room holds about a half cord of firewood. With this entrance facing south the sun hits the wood pile every day in the winter, melting snow left on it after it is brought in from outside storage. This means we can bring wood into the house night or day and any weather without making a mess all over the place with melting snow. The summer kitchen is where all the initial cleaning of garden and animal products takes place. All waste can go directly to the compost heap. Waste water from the sink goes directly to garden irrigation after passing through a grease trap. The contents of the grease trap also go to the compost heap. The Well-Most wells are outside the home and at some distance. Mine is unusual as it is in the still room of the main house. Few people have the well in a building, other than a small pumphouse, because when the pump and pipe have to be brought up for service, equipment and often a truck have to be used to get the 150 or 200 feet of pipe-full of water- and the pump up. My well is 700 feet deep and a truck with the proper equipment will be needed to haul everything up. For this reason, the door leading to the outside lines up with the well so the truck needs only to back up and start working. Having the well in the still room also means there is no chance of freeze ups or busting pipes that are at least four feet underground. The well is also constantly under lock and key where it cannot be tampered with. All of this comes under Plan A should a disaster strike that is so far reaching as to reduce our culture's technology to pre-electrical days, I can remove the pump and pipe and still reach my water in comfort and safety any time of the year-Plan B. I would simply use a container just an inch or so smaller in diameter than the 8 inch pipe well shaft. The container has a flap valve on the bottom and is suspended by a rope. As it is dropped through the water, the valve is pushed open and the container fills. When pulled up the force of the water pushes the valve back down and seats it so the container stays full. Though the well is 700 feet deep, the water level is only 35 feet from the top when it is full. This gives me at 1 1/2 gallons per foot, about 800 gallons in reserve. In New Hampshire, as in most states, you cannot get a building permit with out a state approved septic system plan. I applied Plan A by putting in a normal flush toilet as the main one in the home and a composting toilet in the master bedroom for back up-Plan B. The composting toilet needs no special hook up except for a vent through the roof. When you lose electricity that means there is no well pump either, and thus no flush toilet. But the composting one will still be functional for at least three days. Food-The only real answer to a reliable food supply during bad times is to produce your own, or most of it, all the time. Producing your own food on a constant basis means you not only have a constant source of reliable food, but you also have the prepared land and facilities, tools and skills to keep going. You can do it all, from planting a garden bed to sowing, raising, cleaning, butchering and preserving your produce, meats and fish. The most common argument against the whole process of home food production is the time involved, followed by cost. While this is a subject which merits an entire article in itself and there isn't enough space in this article to go into it in depth,suffice it to say that if you have the resources and time to establish your own home food production, you will find it well worth your while. I have to admit that the initial efforts to set up garden space and small animal facilities is time consuming though not necessarily expensive. But, the set up time is a one-shot effort. I have used many techniques-too numerous to include here- for saving time, energy, and money in producing food. In growing tomatoes in the garden area for example, newsprint and grass clippings have been put down in the tomato bed to prevent weeds from growing and reduce the need to water. For a few hours work a week in home food production from late April through October, you can raise prepare and put up (store) most of your food for a year. And doing so reduces your cost of purchasing the same amounts and types of food by half or more. The lessons learned by early homesteaders still apply today. Choose terrain that lends itself to defense. Plan security around the principles of "Avoidance." "Deception" and "Denial." Reduce costs and effort as well as help the environment, by following the concepts of "Plan A and Plan B, "One Effort with Multiple Results" and "Reduce, Re-use, Recycle." Assure yourself good shelter, reliable water and constant food. Think about this as you reflect on your own plans to survive... now and later. How to CLEANLY Field Dress a Deer in under 7 Minutes - WARNING GRAPHIC! My first time to make an instructional video. Usually takes me 5-7 min to field dress a deer start to finish. However I haven't ever done it while talking before so it took a bit longer :) I made this video for my brother-in-law and decided to post it here. Sorry the camera angle isn't better but I hope it helps you in the field. Note: If you want to keep your canopy (neck and head skin) whole for shoulder mounting, simply cut the trachea just above the top of the collar bone and proceed from there, or check with your taxidermist, for some the cut doesn't matter. Lonnie takes you on a step by step tutorial through the process of how to make a bushcraft bucksaw. Using the net we made in the netting videos to build a live capture trap for small game and birds. 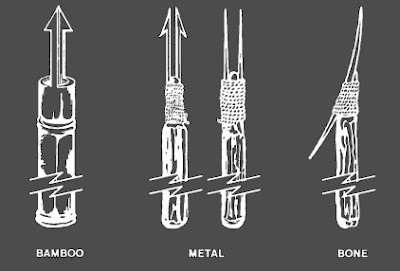 2 - use a shorter length of cordage between the net and main cordage. Good practice though and unless you try, you will never know what you need to do make the trap even more effective. Wild Food Procurement: Simple and comprehensive kit for bushcraft fishing and survival use. The pine tree has a lot to offer the bushcraft enthusiast from a source of vitamin C to a colander! In the first of 3 films, survival expert Sean Collins demonstrates the uses of pine needles and cones in a woodland setting. In subsequent programmmes he talks about pine string and uses for a dead pine tree. This video demonstrates how to make pine pitch glue and primitive fire sticks out of pine sap, charcoal, and grass. Making a survival water transpiration bag still is similar to the vegetation bag, only easier. Simply tie the plastic bag over a leafy tree limb with a tube inserted, and tie the mouth of the bag off tightly around the branch to form an airtight seal. Tie the end of the limb so that it hangs below the level of the mouth of the bag. The water will collect there. 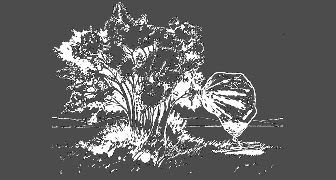 The same limb may be used for 3 to 5 days without causing long-term harm to the limb. It will heal itself within a few hours of removing the bag. CAUTION Do not use poisonous vegetation. It will provide poisonous liquid! The spring pole snare requires a small sapling and cordage to construct. The trigger for the spring pole is the toggle. It is designed to lift the animal off the ground; not allowing predatory animals to take your game. Remember, the trigger can not be so tight that the intended game can not set it off. If you are near shallow water (about waist deep) where fish are large and plentiful, you can spear them. (1) Cut an 18-24" long straight hardwood sapling, fire harden if green. (2) Sharpen one end of the sapling. (3) Shave two green saplings to serve as prongs. (4) Carve barbs on the prongs. (5) Notch main staff to support prongs. (6) Lash the prongs to the main staff. (7) Prongs that do not easily flex under the weight of a finger need to be shaved and thinned, prior to lashing. (8) To spear fish, find an area where fish either gather or where there is a fish run. Place the spear point into the water and slowly move it towards the fish. Then, with a sudden push, impale the fish on the stream bottom. Do not try to lift the fish with the spear. Hold the spear with one hand and grab and hold the fish with the other. Do not throw the spear as you will probably lose it.